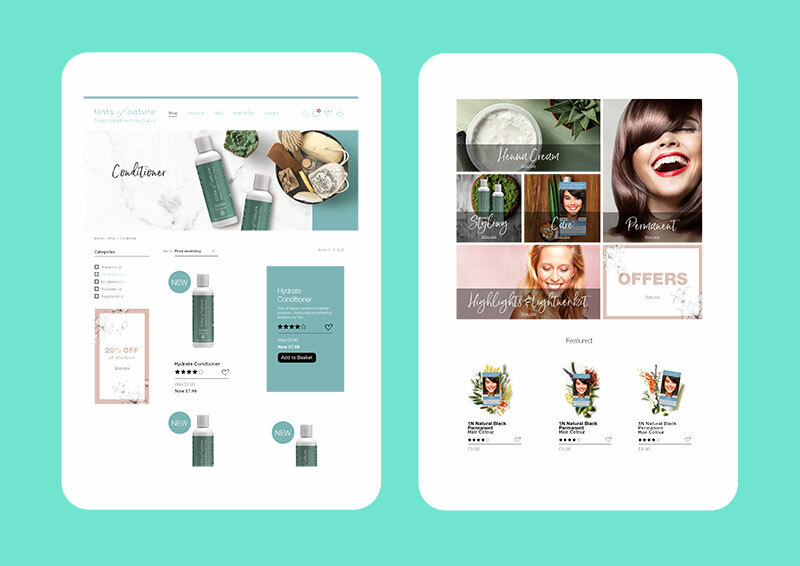 We’ve just launched a new Magento 2 ecommerce store for Tints of Nature, a natural hair colour and care brand based in the New Forest. For over 20 years, they have been passionate about producing high performing products that are not only affordable, ethical and as natural as possible but kinder to you and your hair. They already had 3 separate Magento 1 stores for UK, USA and Australia, but managing them was proving difficult having to login in to 3 separate dashboards to manage the products and content. The websites were not optimised for mobile and were difficult to browse and purchase products and with nearly 50% of all traffic coming from mobile they were missing out on a lot of potential revenue. Magento 1 is also coming to the end of it’s support life cycle which gave them concerns over security and data protection especially because they have customers from all over the world. As a long standing client they approached us to help develop a new modern Magento 2 store, making it easier to manage all locations, improve security and optimise the experience for mobile to maximise revenue. And that’s exactly what we did… With a refreshed brand and new imagery we designed and built a powerful Magento 2 Multi site allowing them to manage the UK, USA, Australia and Canadian store all from one Dashboard, giving them control of pricing, delivery, tax, content and everything in between. 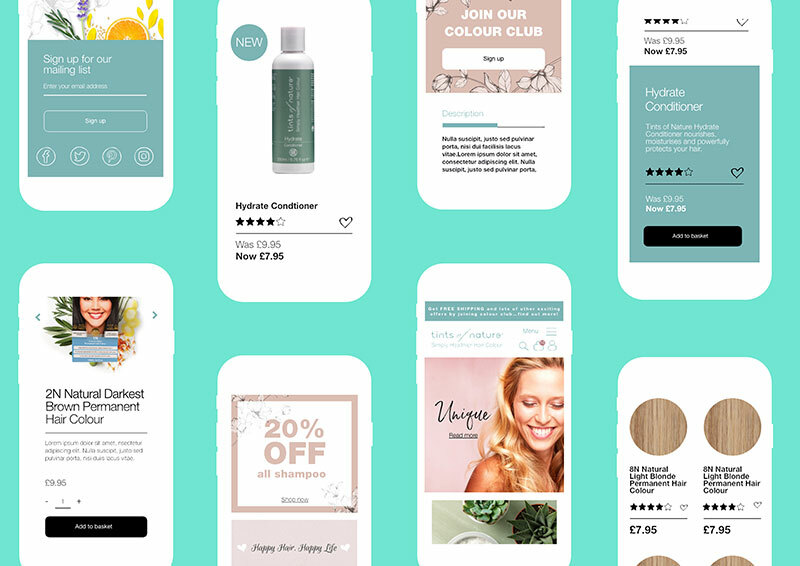 We optimised the mobile experience to ensure the site delivered the best user experience for their customers removing any barriers to purchase. 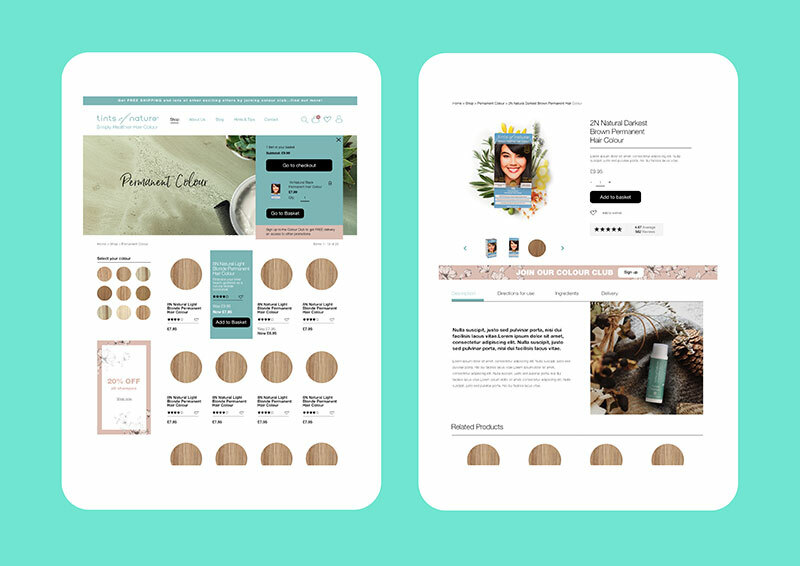 The store was integrated with Dotmailer so all newsletter signups and customer communications can easily be managed and reported on from one powerful platform, giving the Tints of Nature team full control over how they talk to the customers. Watch this space as we will be releasing new features soon.